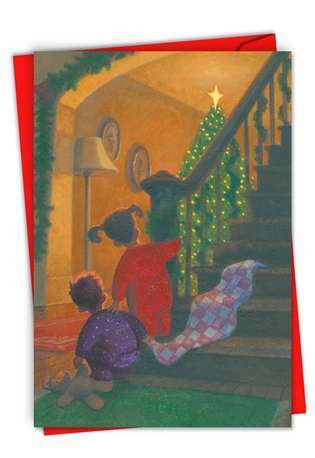 Cover Reads: Image Only: Two Small Children At The Bottom Of A Staircase, With A Crhistmas Tree In View. 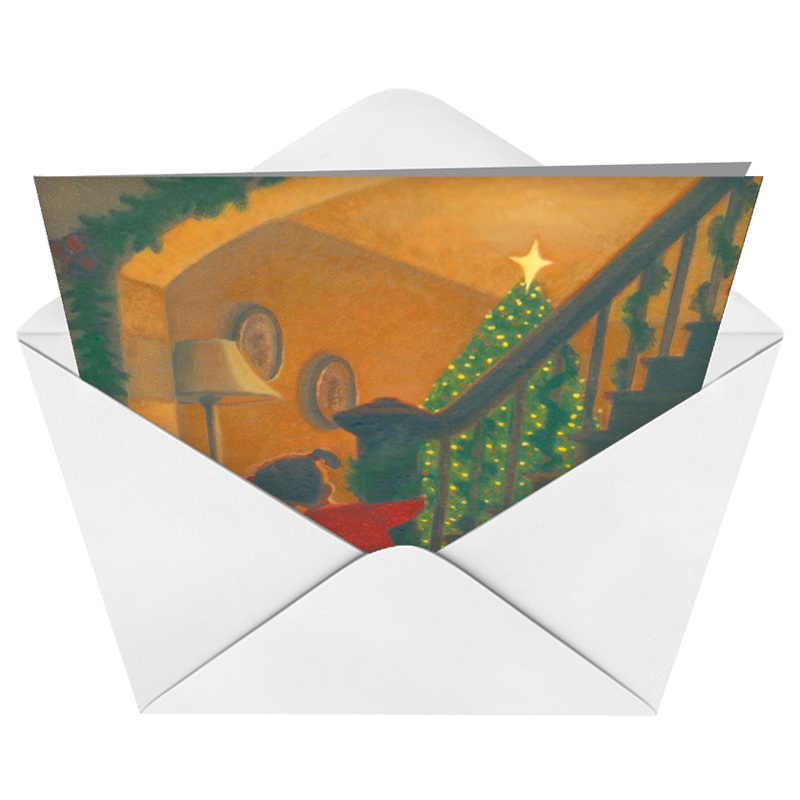 When it comes to Christmas, too often people get swept up in the traveling, shopping, traffic and overall hustle and bustle of the holiday season. This beautifully illustrated, heart-warming card reminds you that the simple things are the most important. Whatever you bought on Black Friday will eventually break, but memories like this will last a lifetime. 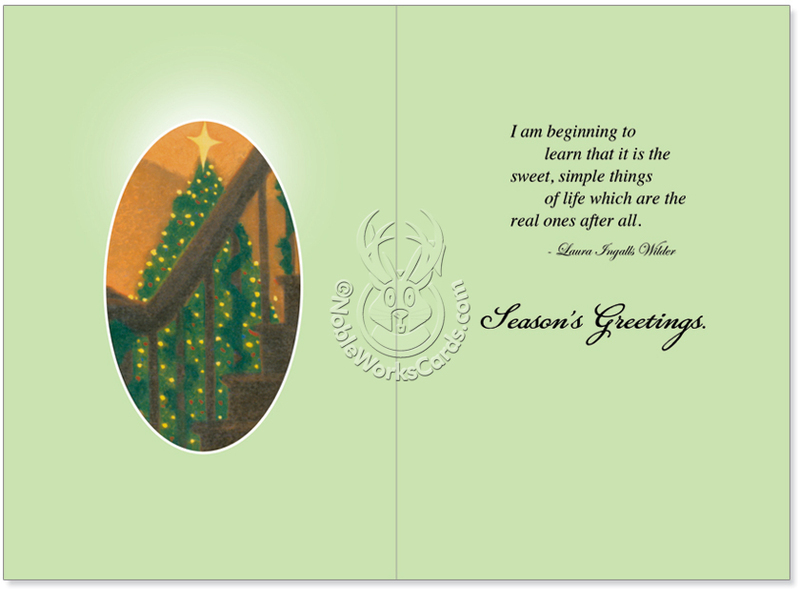 Inside, a beautiful quote from Laura Ingails Wilder is a wonderful reminder of the simple joy found at Christmas.